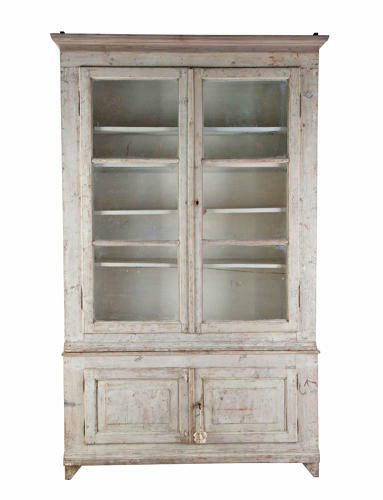 French 19th century pine Bookcase or small Kitchen Dresser with old white paint. Original glass panels - a charming country piece with nice proportions. Circa 1840.